If you pay attention, you will clearly see that advertising is around us wherever we go. There are certain places where we expect to see ads, but there are also many that tend to come as a bit of a surprise. For example, flying through the air at 35,000 feet is somewhere that you might expect to be free from ads, but that is absolutely not the case. Advertising on airplanes has been around for a while now and it is here to stay. There are several different ways, some of which are very creative that advertisers get the word out to frequent flyers, so let’s take a look at a few. 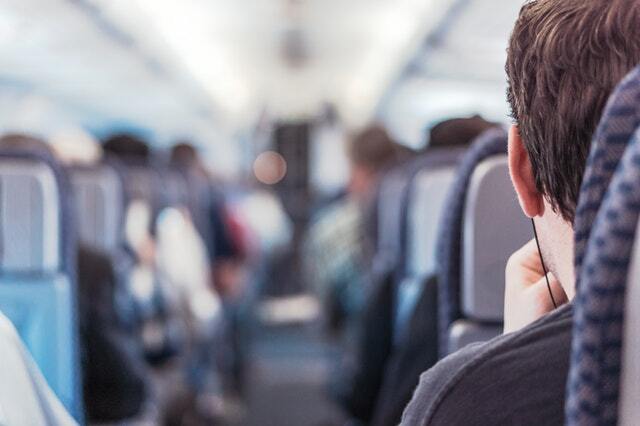 If you have ever flown on a commercial airliner before, you are probably well aware that the little flap in front of your seat contains all kinds of reading materials. There are safety instructions, brochures about the places you are about to visit, as well as the Sky Mall magazine, which contains a treasure trove of products that you probably don’t really need, but which you simply can’t resist to look at. There are also ads in those materials, many of which do well simply because most people who fly always take a look at the supplied magazines and such. While not available on every plane just yet, the newer, larger aircraft all have individual entertainment consoles for each seat. There are all sorts of cool information displayed on the screen, as well as the opportunity to watch movies and TV shows. These consoles also serve pre-roll video ads, which you will probably see a number of times throughout the flight. That repetition in ad serving has a way of making those ads stick in your mind. Not all the ads that you see on a plane are for products, as you will also see many that advertise services you can use at the airport or when you land. We are talking about things like restaurants and services within the airport you are going to, as well as different modes of transportation to get you from the airport to downtown or to your hotel. When you land at your destination, one of the first things you want to do is figure out what to do, where to go and what to eat. This is another area where advertising can help. Local businesses and tour guides actively promoting their services before the wheels of the plane hit the runway. With a little bit of forward thinking, you can have the first few days of your trip booked up while you are still up in the air. You simply cannot fly from point A to point B without being bombarded by ads. When you walk through the terminal to get your ticket or boarding pass, in the departure lounge and the many stores that operate there. Ads are even now on your ticket, napkins, seat headrest, and just about everywhere else that has the space for a logo or a short, persuasive piece of ad copy.